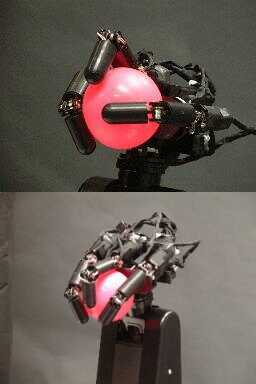 Researchers at University of Tokyo Ishikawa Namiki Laboratory have developed a high speed robot hand capable of catching fly balls. 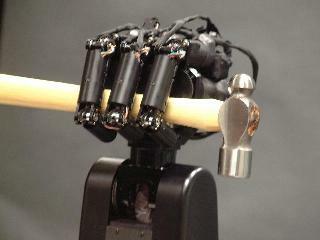 The hand has three fingers and a 32 by 48 array of sensors in the 'palm' to detect the incoming balls. The flexible fingers can also grasp other shapes such as cups and hand tools.